How many times have you lusted after something on the Sephora / Ulta / MAC US websites but known that unless you have a buddy in the US willing to post the item back to you, that you will unlikely be able to get your mitts on the goods? I have been yearning to try Colour Pop for MONTHS now but have been unable to order as they are available online only and don't offer international delivery? If you are a fellow beauty obsessive, you have probably felt this pain. I heard of parcel forwarding services before but always presumed they would be too expensive to the point of being cost-prohibitive. Also, even if you have a US shipping address to send the goods to, the chances are that your Irish billing addresses will wreak all kinds of havoc on the US websites that don't understand that Ireland is an actual country and that our counties are not denoted by 5 number post codes! What especially appealed to me about GoSend in particular is their ShopAssist option, where (upon signing up for a VIP account at a monthly subscription cost), you can create and upload a shopping list to the GoSend website, then they will send you a Paypal invoice so you can pay them, and then they will make the order for you using their US credit cards and billing details. This sounded foolproof in my opinion. I paid the $10 monthly subscription fee for a VIP account (you can also choose annual membership for $50 which is a good deal if you will be using the service often). When it came to placing my order, I found the Shop Assist function to be a little tedious (entering in each item individually with a link and little description). Once I had submitted my order, I had to wait a day or so to get an invoice from GoSend billing me for the amount of my order plus a service charge of either $5 or 5% of your order cost (whichever is the greater). Given that you are paying for a service, I don't really mind this. When you have paid the invoice, you get confirmation of payment and then confirmation that the order has been placed and then another confirmation when your order is received in their warehouse with photos. The communication is excellent by any standard and they have an online chat function where you can easily reach out to reps and get a response either instantly or within a few hours. When your item arrives in their warehouse, you have the option of either having it dispatched to your own international address immediately or storing it in your 'GoSend Locker' for a period of up to 60 days. I made a few orders from a few different sellers so I chose to keep them in my locker and dispatch them all together. When it did come to dispatch time, I had to go into my "locker" and go through process of inserting values in everything again (for customs purposes). When it came to shipping, I was given a variety of different options at different prices and for the $200 worth of products that I got, I think I paid about $33 to have it delivered, which was fine with me. I believe the shipping is based on the weight of the items that you buy. It took the parcel little over a week to get to me, and I did not get charged customs on it (even though it did have a customs declaration on the front stating there was $200 worth of loot in the box). The items were packaged perfectly, everything arrived to me safely, so again, I cannot fault GoSend in this respect. I would absolutely use GoSend again, I thought it was a smooth and efficient process, very clear communication, quick turnaround time and constant emails letting you know the progress of your order(s). I think it is good value for money given that US postage is expensive, and the fact that Paypal is the preferred payment option gives extra peace of mind. I thought it was an easy system to use (even if I did find manually entering the order details for my items to be painful!) and I didn't ever really feel concerned for my items. You can keep items in your GoSend locker for up to 60 days- which theoretically means you can order to your heart's contentment and keep gathering items and dispatch at a future date OR you can choose to dispatch certain of your items at different times (obviously incurring more shipping costs though!). If you are looking for a parcel forward service from the States, I highly recommend GoSend, and crucially in my opinion, I say that as a paying customer. Randomly GoSend actually sent me an email completely out of the blue a few days after placing my first order offering to pay for my Sephora order like last time to do a follow up video because they mistook me for someone else in Ireland with a similar name which I later discovered was not disclosed by that person in their account. The quality of the service that I experienced as a normal Jane Doe customer was fantastic in my opinion and that's why I've no qualms in recommending them to my readers. In terms of what I got in my order, I will be sharing that over the coming days. 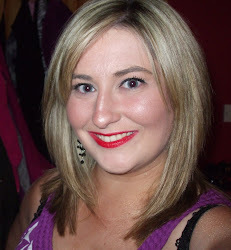 I placed an order with Colour Pop, Sephora and MAC Cosmetics and have been using the goodies over the last few months. 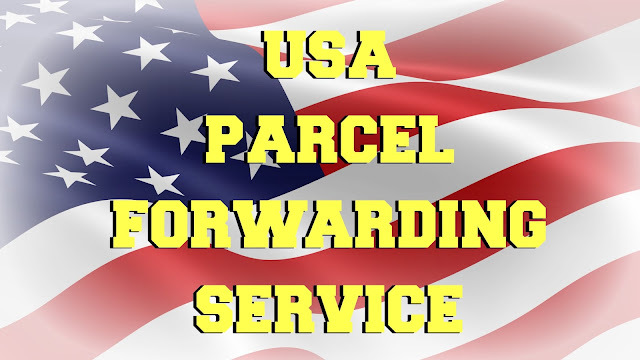 So tell me, have you ever yearned for something from a US website so much that you would consider using a parcel forwarding service like GoSend? Does this sound like the answer to any of your prayers? I actually looked this service up because of that other girl's video, bit disgusted now I know it was an ad Tbh. Sounds like a great way to get stuff sent over, great that there was no hassle! You did have a good experience with the service. This is how genuinely these service work. I agree with you. I shipped some hair brushes 2kg n charged me $100 usd. Rip off!!!! Also whoever writing all these good articles about gosend is getting paid or some type of discount. Dont go with them they are very very expensive. I am so glad I came across this post. It is so informative. I am shifting there next month and I have already started my search for a good delivery and Warehousing service Dallas. I would love to share this post with my mom as well. She is the one who order parcels online, she is going to need this. I see your site needs some fresh & unique content about parcel forwarding in USA. Writing manually is time consuming, but there is solution for this hard task.